In Old Testament times, people used ashes in a variety of religious ways. For example, the Second Book of Samuel (13:19) tells how a woman who had been raped sprinkled ashes on her head as a sign of grief. The book of Jeremiah (6:26) tells how people rolled in ashes as a sign of mourning. And the Book of Job (42:6) mentions the custom of sprinkling ashes on oneself as a sign of repentance. This brings us to the use of ashes in our times. Each year on Ash Wednesday, we mark our foreheads with ashes. We do this for two reasons. And so the ashes we will receive in a few minutes have a twofold meaning. First, they are a sign of our repentance. They say that we are sorry for our sins and will do penance for them during Lent. Second, they are a sign of our mortality. They say that we will die someday and have to give an account of our lives to God. This brings us to what we will do during Lent. of fasting on Ash Wednesday and Good Friday. And for everyone 14 years and over, the Church prescribes abstinence from meat on all Fridays during Lent. “What are three religious acts you routinely perform?” You’d probably be surprised to learn that each person would give the same answer, saying, “Almsgiving, prayer, and fasting." These are the same three religious acts that Jesus mentions in today’s gospel. Speaking of almsgiving, Jesus says, “When you give alms, do not let your left hand know what your right is doing, so that your almsgiving may be secret. And your Father who sees in secret will repay you. Speaking of praying, Jesus says, “Pray to your Rather in secret, and your Father who sees in secret will repay you. Speaking of fasting, Jesus says, “(Hide the fact that you are fasting.) And your Father who sees what is hidden will repay you." This brings us to the season of Lent, which we begin today. Why does the Church use this reading to launch our observance of Lent? The answer is simple. Lent is a season when we try to recall in a special way the suffering that Jesus endured for our sins and to do penance for the sins that caused his suffering. In keeping with this purpose, today's gospel invites us to consider doing three things this Lent to show our sorrow for our sins. First, it invites us to consider giving something extra to the poor. This explains the practice in some homes of putting a Lenten bowl in the center of the dinner table. During Lent the family cuts back on its meal budgets and, after each meal, puts into the bowl what they saved on that meal. At the end of lent they vote to determine to what charity they will give the money. Second, the gospel invites us to consider being more prayerful during Lent. This explains the practice among some people of attending Mass daily, or at least one extra day a week, during Lent. Third, the gospel invites us to consider fasting during Lent. This explains the practice of some families of not eating between meals during Lent, or at least on the Fridays of Lent. The important thing in all this is not what we do, but why we do it. We do it, as Jesus says, not to be seen or to impress one another, but as penance for our sins and for the suffering these sins caused Christ. and to prepare for the celebration of Easter. Let’s close by previewing the Prayer over the Gifts that we will be praying in a few minutes. “Lord, help us to resist temptation by our lenten works of charity and penance. Ash Wednesday (dies cinerum) is the Church’s Yom Kippur or the “Day of Atonement.” Its very name comes from the Jewish practice of doing penance wearing “sackcloth and ashes.” In the early Church, Christians who had committed serious sins were instructed to do public penance wearing sackcloth and ashes. Ash Wednesday and Good Friday are days of full fast and abstinence. 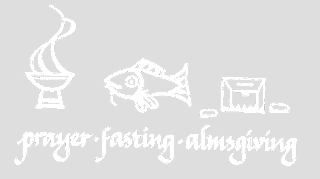 Fasting is prescribed to reinforce our penitential prayer during the Lenten season. The prophet Joel, in the first reading, insists that we should experience a complete conversion of heart and not simply sorrow for our sins. Saint Paul in the second reading advises us “to become reconciled to God.” Today’s gospel instructs us to assimilate the true spirit of fasting and prayer. 3) A loving invitation to realize and acknowledge our sinful condition and return to our loving and forgiving God with true repentance, as the prodigal son did. We are invited to effect a real conversion and renewal of life during the period of Lent by fasting, penance, and reconciliation. b) by imitating the king and the people of Nineveh (Jon 3: 7), who fasted in sackcloth pleading for mercy from the Lord God, the Syrian King, Ben Hadad (I Kings 20: 31-34), who did not fast, but wore sackcloth and begged Israel’s King Ahab for his life), Queen Esther who fasted, begging God to save her people (Est 4:16), the soldiers of Judas Maccabaeus who fasted so greatly they felt too weak to fight (1 Mc 3:17) and St. Paul who observed "frequent fastings" (2 Cor 11:27). (Historical note: In the past, the Greek Orthodox Christians had 180 days of fasting and the Orthodox as well as Catholic Syrian Christians had 225 to 290 days of fasting every year. The Roman church also had a number of fast days. 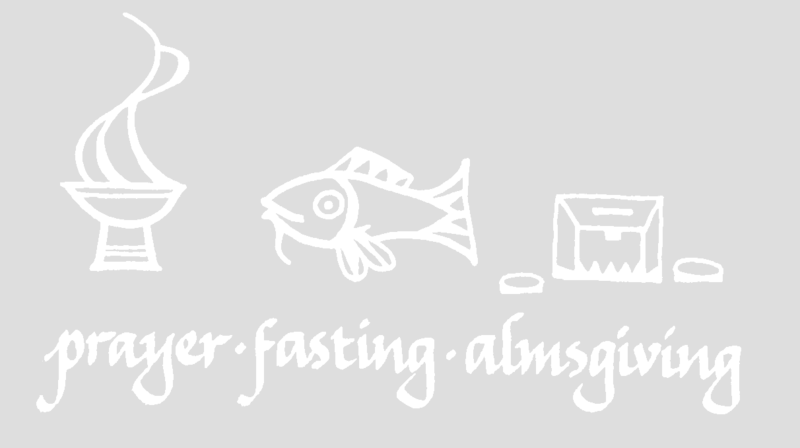 Technically speaking, fasting is now only required on two days in Lent, namely, Ash Wednesday and Good Friday. In the United States, abstinence alone is commanded on all Fridays of Lent). True fasting is “tearing one’s heart and returning to God” with true repentance for one’s sins (Joel 2:13). It is “breaking unjust fetters, freeing the oppressed, sharing one’s bread with the hungry, clothing with the naked and home with the homeless, and not turning away from the needy relatives” (Is. 58:6-7). a - It reduces the excessive accumulation of “fat” in our soul in the form of evil tendencies and evil habits (=spiritual obesity). b - It gives us additional moral and spiritual strength. c - It offers us more time to be with God in prayer. d - It encourages us to share our food and goods with the needy. e - “There is joy in the salutary fasting and abstinence of Christians who eat and drink less in order that their minds may be clearer and more receptive to receive the sacred nourishment of God's word, which the whole Church announces and meditates upon in each day's liturgy throughout Lent” (Thomas Merton). 1 - It is the model given by Jesus. 3 - Theological reasons: a) it removes the weakness left by sin in our souls, b) it pays the temporary debt caused by sin, and c) it makes our prayers more fruitful. III - We are to enlarge our hearts for reconciliation. By receiving the ashes, we confess that we are sinners in need of the mercy of God, and we ask forgiveness for the various ways in which we have hurt our brothers and sisters. In the recent past, our Catholic community has experienced acute suffering caused by the scandalous behavior of a few of our spiritual leaders. Lent is a time for forgiveness and reconciliation. Let us allow the spirit of forgiveness to work its healing influence in our parishes and families. God bless you. Ash Wednesday agenda: By Almsgiving, we highlight others more important than ourselves and give ourselves to them as Jesus gave Himself to others. By Prayer, we highlight God as most important in our life, magnifying Him, humbling ourselves (thus realizing the distance between Him and us), and trying to come to come closer to the Lord. By Fasting, we discover our personal self and see who we really are. Cutting, pruning and disciplining ourselves will be part of this job. Doing all these three things with joyful heart and mind will prepare us to rise with Jesus. (Fr. Raj). 3) A little boy had just returned home from an Ash Wednesday church service. The little girl from next door asked him what the smudge was on his forehead. He replied, "It's Ash Wednesday." "What's Ash Wednesday?" she asked. "Oh," he replied, "It's when Christians begin their diet." 4) It was Ash Wednesday, and a woman sifting in a crowded Catholic church, leaned over to the young man next to her and asked: "What is it that brings so many people out on a cold night, to get a little dirt smeared on their foreheads, and to be reminded that they are sinners and that they are going to die?" He looked at her somewhat oddly and said, "It's habit, I guess." 5) A two-year-old had gone with her family to her church's Ash Wednesday service. She was upset that her mother was not taking her to the altar with the rest of the family. She was overheard exclaiming: "But I want to get a tattoo just like Daddy's!" The readings for this first day of the Lenten journey to Easter call us to turn. In Hebrew, the word for repentance is to turn, like the turning of the earth to the sun at this time of year, like the turning of soil before spring planting. The Lenten journey that begins on this Ash Wednesday calls us to repentance -- to turn away from those things that separate us from God and re-turn to the Lord. In today’s Gospel, from his Sermon on the Mount, Jesus instructs his listeners on the Christian attitude and disposition toward prayer, fasting and almsgiving. Such acts are meaningful only if they are outward manifestations of the essential turningthat has taken place within our hearts. Around 400 B.C., a terrible invasion of locusts ravaged Judah. The prophet Joel saw this catastrophe as a symbol of the coming “Day of the Lord.” The prophet summoned the people to repent, to turn to the Lord with fasting, prayer and works of charity. In his second letter to the Corinthians, Paul alternates between anger and compassion, between frustration and affection in defending his authority and mandate as an apostle in the face of attack by some members of the Corinthian community. In today’s second reading, the apostle appeals for reconciliation among the members of the community, for a re-turn to the one faith shared by the entire Church. As the earth will “turn” toward the sun in the weeks ahead transforming the dark and cold of winter into the light and warmth of spring, so these ashes mark the beginning of a Lenten transformation of our souls and spirits. The Spirit who called Jesus to the wilderness calls us, as well, to a forty-day “desert experience,” a time to peacefully and quietly renew and re-create our relationship with God, that he might become the center of our lives in every season. Once again we begin the season of Lent with this Ash Wednesday celebration. Lent is a time for repentance and renewal yet the Preface of Lent will call it the joyful season of Lent. We should remind ourselves that originally Lent was a time for preparation for Baptism and for Easter. Later on as the practice of adult baptisms died out, it became a time of baptismal renewal as well as a time of repentance and a proximate preparation for Easter. As we begin this new season may we find our joy in coming back to God. 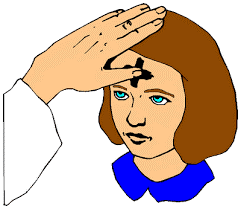 The key ceremony on Ash Wednesday is the imposition of the ashes on our forehead. “Remember thou art dust and to dust thou shall return.” In a sense, this ritual reminds us of our beginning and our end, we are back to basics. It is meant to give us a right perspective of life. We are dust, we are finite, we are human, we are creatures, dependent and capable of mistakes. At times, with all our successes, our possibilities, our capabilities and the power we try to acquire, we are led to believe we can manage on our own, that we don’t need anybody, we don’t need God! Lent puts things in proper perspective. We need God, who does not look down on the dust that we are, our humanness, our weakness, but renew his covenant to human beings, he breathes life into the earth and creates us and recreates us. The first reading from the prophet Joel reminds us that sometimes God invited the people of Israel to come back to Him through the great disasters that befell them. It was after one such disaster that the prophet Joel conveyed to the people the message that God would come to their rescue. The disaster that befell the Israelites at that time was the invasion of locusts that came in large numbers from the desert and devoured everything. The prophet Joel called them to prayer and to penance. He assured them that if they came back to Yahweh, He would provide them with food they needed. He reminded them that everyone should do penance, the priests and the laity, the young and the old, even the children. They needed to ask God’s pardon as a family, as one community and God would forgive them all. The Gospel of today speaks to us of three paths that can lead us back to God: Prayer, Fasting and Alms. Jesus reminds us that these three practices by themselves will not lead us to God unless we perform them with a humble heart. 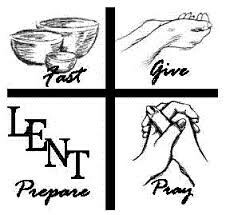 Lent is firstly a time for renewing our prayer life. When we pray, do not pray to be seen or heard by others? Is Jesus against praying in public with the community or prayer group? What Jesus is speaking about is the motive of our prayer practices. Are we putting on a performance? Would we do the same if no one was watching? Our community prayer life needs to be balanced with private and personal prayer. The second practice recommended is fasting and abstinence during lent, but we are reminded that how we do it is more important than what we do. If fasting makes us irritable, if we fast with long faces and put on a gloomy look and make all around us miserable, there is something wrong. The heart of fasting is to do without something that we like and believe we can’t do without, in order to realize that God can supply our every need. What about a weekly fast from our favourite TV serial? The third practice of the devout Jew was almsgiving. Again the admonition is the same: “So when you give alms do not have it trumpeted to win men’s admiration.” Almsgiving is any kind of help, material or spiritual we give to our neighbour. We could help our neighbour in need, we could give them good advice or encouragement, we can help someone in spiritual danger, we can encourage people to attend to their spiritual needs. Perhaps the help that people need is more spiritual than material. Are we bringing people to Jesus by our words, our good example and our deeds? A young man, a student in one of our universities, was one day taking a walk with a professor, who was commonly called the students' friend, from his kindness to those who waited on his instructions. As they went along, they saw lying in the path a pair of old shoes, which they supposed belonged to a poor man who was employed in a field close by, and who had nearly finished his day's work. The student turned to the professor, saying: "Let us play the man a trick: we will hide his shoes, and conceal ourselves behind those bushes, and wait to see his perplexity when he cannot find them." "My young friend," answered the professor, "we should never amuse ourselves at the expense of the poor. But you are rich, and may give yourself a much greater pleasure by means of the poor man. Put a coin into each shoe, and then we will hide ourselves and watch how the discovery affects him." The student did so, and they both placed themselves behind the bushes close by. The poor man soon finished his work, and came across the field to the path where he had left his coat and shoes. While putting on his coat he slipped his foot into one of his shoes; but feeling something hard, he stooped down to feel what it was, and found the coin. Astonishment and wonder were seen upon his countenance. He gazed upon the coin, turned it round, and looked at it again and again. He then looked around him on all sides, but no person was to be seen. He now put the money into his pocket, and proceeded to put on the other shoe; but his surprise was doubled on finding the other coin. His feelings overcame him; he fell upon his knees, looked up to heaven and uttered aloud a fervent thanksgiving, in which he spoke of his wife, sick and helpless, and his children without bread, whom the timely bounty, from some unknown hand, would save from perishing. The student stood there deeply affected, and his eyes filled with tears. "Now," said the professor, "are you not much better pleased than if you had played your intended trick?" The youth replied, "You have taught me a lesson which I will never forget. I feel now the truth of those words, which I never understood before: 'It is more blessed to give than to receive.'" A young man had just hiked across a long, barren stretch of land. Reporters asked what he found hardest about it. “Was it the loneliness of the hike?” “No,” he replied. “Was it the hot sun beating down on you?” “No”, he replied. “Was it the dangerous nights by the roadside?” “No”, he replied. “Well then, what was it?” “The sand in my shoes,” he said. That is often the case in everyday life. It is not the big things that get us down, more often, it’s the tiny irritations! 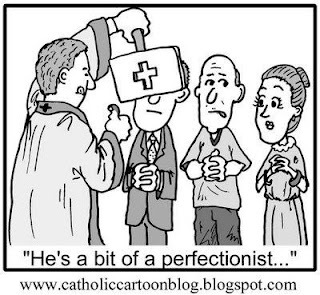 May be, accepting the tiny irritations with family, friends, colleagues, office workers, that come our way each day, could be a good way to start our Lent! Dr. Karl Menninger, the famous psychiatrist, once gave a lecture on mental health, and then answered questions from the audience. “What would you advice a person to do,” asked one man, “if that person felt a nervous breakdown was coming on?” Most people expected him to reply, “Consult a psychiatrist.” To their disappointment he replied, “Lock your house, go across the railway tracks, find someone in need and do something to help that person.” –Don’t sit and pout. Get up and do something for others! Once, a king was walking through the streets of the capital city when he came upon a beggar who immediately asked him for money. The king did not give him any money. Instead he invited him to his palace. The beggar took up the king’s offer. On the appointed day he made his way to the royal palace, and was duly ushered into the king’s presence. However as he came into the king’s presence he was acutely conscious of his rags and felt ashamed of them. They were an eloquent symbol of the wretchedness of his life. The king an exceptionally kind man, received him warmly, took pity on him, and among other things gave him a new suit of clothes. However, a few days later the beggar was back to begging on the streets, dressed in his old rags. Why did he give up the new suit? Because he knew that to wear it would mean that he would have to live a new life. It would mean giving up the life of a beggar. This he was not prepared to do. It wasn’t that the new life did not appeal to him. It was just that a change of life would be slow, painful and uncertain. In other words he was too much steeped in habit to change. May Lent find us ready to change whatever needs to be changed in our life with God’s help! Nowadays the cost of a dinner and a movie keeps going up, and a vacation can be especially expensive, but if I really want to go somewhere I just take the change out of my pocket and lay it on the desk. It's like a time machine. Each coin has a year stamped on it, and just thinking about the year helps me travel back in my memory. 1979 is the year my first son was born and the year I started in ministry. 1981 and 1983 are the years my daughter and second son were born. 1988 is the last time the Dodgers won the pennant. 1990 was when I moved to Indiana from Los Angeles. 1994 and 2004 were the years I turned forty and fifty. 2002 was when I moved to Pennsylvania. And it's getting harder to find, but any coin with 1954 is my birth year. I enjoy laying out the change in my pocket and just glancing at the dates. It's nice to carry these little reminders of important events, good and bad. But they're just one kind of reminder. We carry all sorts of reminders around. One of the most obvious is our date book, which we use to remind us of important events that are not in the past but in the future. We especially need a reminder for Ash Wednesday. It comes in the middle of nowhere. It's not like Christ­mas or Independence Day that fall on the same dates every year. Ash Wednesday is all over the map, from early February to some­time in March. What usually happens is that we notice someone with a smudge on their forehead and suddenly realize: was that today? Really, it's not very convenient. The least Ash Wednesday could do is fall on a Sunday. I address God as my Father by adoption through the grace of Jesus Christ and give thanks for His salvation. I pledge to keep His name holy in all my conduct. I remind Him of ways I have done this in the past, and ask Him forgiveness for all the ways I have failed to do so as well. I ask that His will be done, here on earth through me, as efficiently as it is done by His angels in heaven. I give examples of how I think I could do that; I ask His guidance and pledge my obedience. I ask for my material needs for the day, itemizing and discussing them. I give thanks for specific instances of His providence in the past. I ask forgiveness, but only to the degree I am willing to forgive others. If I have a problem, I discuss it in detail. If I am facing any particular temptations, I discuss them and ask God to help me resist them. If I have recently survived any tough tests, I discuss them and thank God that He gave me the power to overcome them. I tell God about the evil things that frighten me, and ask Him to deliver me from them. I also give thanks for past rescues. You get the idea. When you pray like this, it's amazing how time flies! A Catholic priest working in an inner city was walking down an alley one evening on his way home when a young man came down the alley behind him and poked a knife against his back. "Give me your money," the young man said. The priest opened his jacket and reached into an inner pocket to remove his wallet, exposing his clerical collar. "Oh, I'm sorry, Father," said the young man, "I didn't see your collar. I don't want YOUR money." Trembling from the scare, the priest removed a cigar from his shirt pocket and offered it to the young man. "Here," he said. "Have a cigar." "Oh, no, I can't do that," the young man replied, "I gave them up for Lent." My dear friends, let us play. Yes, you heard me correctly. Now is a time for play. In fact, today the church begins that time of the year when we do our most serious playing. And playing is a serious business, you know. Ask any teacher of children. Better still, watch children at play. No wonder they are tired at the end of the day. They work hard at playing. They take it seriously. Play is the child's laboratory for learning about life. Children who have never played at being grown-up tend to be handicapped in some way when they have to confront the actual experience. Boys who have never been allowed to play with dolls can hardly be expected to hold their own infants with ease and loving confidence. It has to be a later learning if it is ever learned at all. Play may be a more valuable tool for learning than all the educational resources manufactured by the professionals. That is why, on this Ash Wednesday, the church summons us to a season of play. Our Lord has told us, if we are to enter the kingdom of heaven, we must become as little children. And one of childhood's most important occupations is play. Am I wrong in my impression, however, that most of us do not come to church to play, that play is the furthest thing from our minds? Play seems foreign to our understanding of religion, and if it is to be found in church at all, it is best restricted to the nursery and the carefully supervised activities of the youth groups. H.L. Mencken defined a puritan as a person with the haunting fear that someone, somewhere, might be happy. I know the puritan still comes to church with me from time to time. What about you? An Italian newspaper recently carried a story about a young couple in Milan who seemed particularly devoted in their worship. The priest at a cathedral there reported that the pair spent an hour or more on a regular basis sitting before a statue of the Virgin Mary. Naturally, he assumed they were praying. Turns out, this young couple was recharging their cell phone. They had noticed a stray electric cable sticking out of the wall behind the statue of the Virgin Mary. Whenever their phone's power supply dwindled, the young couple came to the church and re-charged it from the cable behind the Virgin Mary. The priest states that the young couple is welcome to use his church for this purpose. We talk about coming to church to "re-charge our batteries," but this is ridiculous. What looked to the unobservant eye like an act of piety was actually a self-serving ploy to save money. This young couple was using the church for their own needs. And we're shocked, shocked, I tell you--until we realize that we may be guilty of the same mistake. The Rev. Timothy J. Kennedy tells a wonderful true story that is perfect for Ash Wednesday. It was told to him by a colleague, Pastor Chris Mietlowski. It concerned a baptism that Mietlowski once performed on an infant named Eric. Mietlowski took Eric in his arms and traced the cross of Christ on Eric's forehead using a special anointing oil. Following worship, Eric's family celebrated with a big backyard party. Family and friends ate burgers and chips and played volleyball under a summer sun. Eric, being only six months old, was left to nap in his backyard stroller. When Mom got him up, whoops. Basted on Eric's forehead was the image of the cross. Mom had forgotten to wash Eric's face following his baptism, and the oil that the pastor had traced onto his forehead acted the opposite of a sun screen. The Cross of Christ was imprinted on Eric's forehead. "For several weeks until it completely disappeared," says Rev. Kennedy, "that cross was a wonderful reminder as to the meaning of Baptism and a reminder that the Cross of Jesus was 'written' upon Eric's forehead." And what a powerful witness it was, says Rev. Kennedy. "Eric's Mom and Dad had to explain the cross to the pediatrician, to the neighbors, to the stranger in the grocery store. For a few weeks, Eric was nothing less than a [living] children's sermon. It was only a bit of a sunburn to be sure, but [it was] the best basting a child can have to be marked with the cross of Christ! And why not? That cross is to be the foundation of that child's life." If I read the little book of Joel right, God's desire is not that we wear a cross on our forehead, but that it be basted on our hearts. "Rend your heart and not your garments," says Joel 2:23. That's much harder to do, isn't it? It's much easier to rend your clothes than to rend your heart. It's much easier to wear a cross around your neck than it is to bear it daily in everything you do. Others are as solemn and quiet as a tomb. But others wouldn't, even on a dare. But if they are humble, to Christ they belong." Every once in a while a whimsical story makes the news. Some years ago, the Associated Press carried a story about a woman in Olney, England, named Dawn Gallyot who defied snow and a biting wind to beat seven other women to the finish line in the annual Shrove Tuesday pancake race. In her first race, the 38-year-old schoolteacher made the 415-yard dash from a pub in the market square to the Church of St. Peter and St. Paul with a pancake and a frying pan in her hand in 73 seconds. That was 9.5 seconds slower than the previous year's pace. Each woman must flip a pancake in the frying pan at the start and at the finish of the race. The record is 58 seconds. Mrs. Gallyot reportedly wore a traditional headscarf and apron, but opted for modern running shoes. Shrove Tuesday, known in England as Pancake Day, is traditionally the last day for merrymaking before the start of Lent. Pancakes are thought to be a good way to get in the eggs and fat that faithful church people were supposed to give up for Lent. Legend has it that the Olney race started in 1445 when a housewife, dashing to get to church on time, arrived at the service clutching in her hand a frying pan with a pancake still in it.